Wow. Okay. Has teenage life really changed so much in the 8 years since I was her age or did I just skim through as a social recluse? I enjoyed this book, but I would have liked it more if the WHOLE THING wasn't done in e-mail format. It's a nice touch, and helps us connect with the main girl Emily and her generation, but it gets to be a bit much as the format for the entire book. I guess my age and wisdom(?) saw the whole Fang/Aidan thing near the beginning, but is she really that dense? Or is it the teenage hormonal self-centeredness? Not every little thing that happens is so dramatic that she should want to die, but I guess at 16 maybe it is for her. I did enjoy the stalking Oded Fehr things, totally hilarious and typical swoony teenager. Her sister and Father are a total trip and I'm glad I'm not related to them. Also loved the whole language barrier between American and England. We speak the same language, but we really don't. Mailing this off to fulfill a request by JennyC1230, Enjoy! Thank you so much! I am looking forward to reading this one! Thank you for the stickers and the bookmark, too! You are one of the people who make Bookcrossing great. Sixteen-year-old Emily Marie William's life seems to swirl down the loo (toilet) when she moves from Seattle, Washington, to Piddlington-on-the-Weld, England: not only the dark side of the universe, but a country that still has discos! While sharp-witted and clever-tongued Emily feels slighted by the forced relocation, the situation provides mucho drama, drool-worthy love interests and über-coolio comedy. Emily's frantic e-mails to best friend Dru portray her spiraling descent; further exacerbated by placement in the fifth form (with younger classmates; gack! ), school uniforms, an "ancient" but overly protective father, a dim-witted but well-meaning mother, a sexually progressive older sister, a perverted underwear drawer poltergeist, snickerers Ann and Bee, and Tash, a promiscuous competitor in Emily's quest to win the heart of hunkalicious Aidan (that is, if she doesn't decide to go for dishy Devon, marry heartthrob actor Oded Fehr, or forget them all and go for Fang first). Gripping, smart-alecky, shocking (not for teacher's pets or the faint-hearted) and at the same time tender, Emily's trials and tribulations will inspire laughter, tears and an understanding of what it's like to be an American teenager in Britain. My Review: This was a fun book! Emily is a typical teen, maybe a BIT more precocious, though. The all e-mail format, was a bit annoying, it might have worked better as a diary, but maybe teen girls don't do that anymore. If you like this one you would probably enjoy the Georgia Nicholson series by Louise Rennison. That's my favorite teen series. I'm so sorry I've had this one so long before finally reading it. If you have found this book, welcome to Bookcrossing and thank you for taking the time to let us know about its journey. Feel free to enjoy the book and pass it along to a friend, neighbor, family member or co-worker, or simply leave it somewhere for another lucky reader to enjoy as you did! This book isn’t your type of read? No problem, don't feel obliged to read it, just be kind enough to help it on its journey. Sending to JemmaJ, who requested this when I posted what I was reading on Instagram. Enjoy the book! Received from JennyC1230 via Instagram - many thanks Jenny! I look forward to reading it!! I need some quick reads! 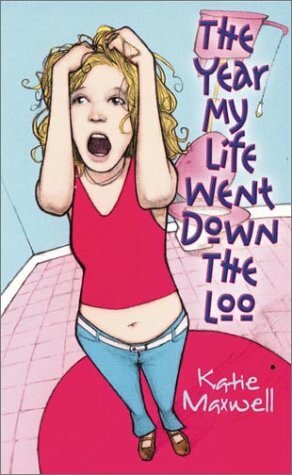 An interesting book; I liked the way Katie wrote the book as emails - which may not be to everyone's taste. I like the comparison of UK and USA jargon/slang. RABCK surprise to The Netherlands! I hope that you will enjoy this book! a great suprise, I suddenly found a book in my mail box. Thank you very very much Jemma, realy nice of you!